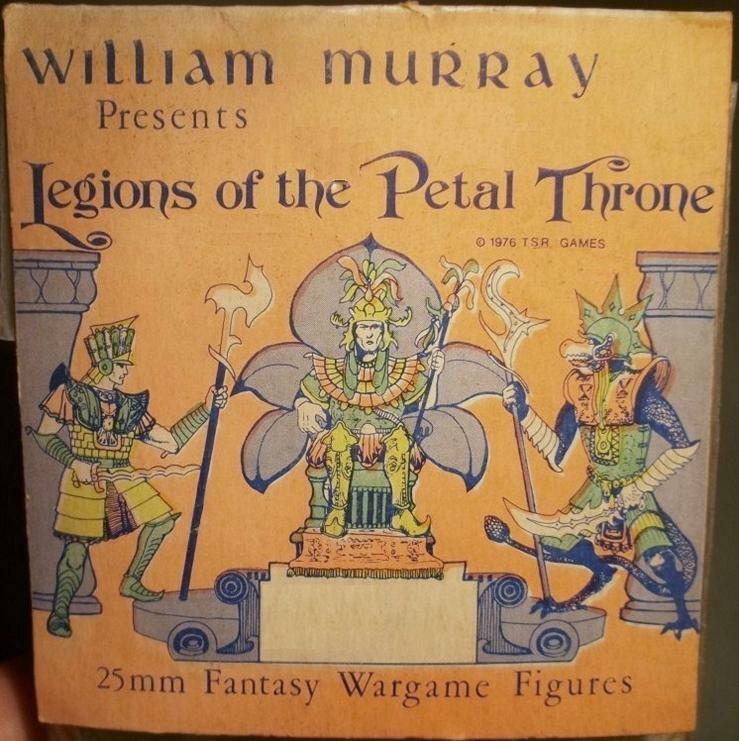 Dear Tony Blair: Empire of the Petal Throne - miniatures! Finally got around to taking pics of these babies. This is when I found the last post's lead rot which caused the delay....grrrrr. I have serious concerns about the long term survival of a bunch of my collection due to lead rot.......many have survived 35 years and now want to die? 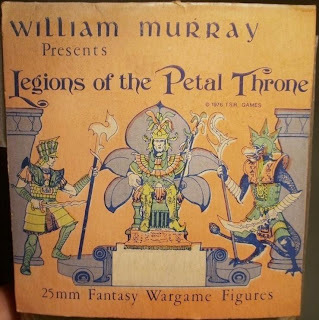 Anyway, on to the pics, a varied montage of Ral Partha and Old Guard...I'll id them when I get the chance and will upload the missing ones at some point to the Lost Minis WIKI for future generations. I had a large amount of these and sent a load to Chirine of EPT fame in return for a great bunch of stuff....sent another parcel a year or so back and just waiting for a return parcel. A lot of these older sculpts are not up to the sculpting (although most of the Tom Meier ones stand the test of time) and quality of the new lines from the Tekumel Project (check out their new sculpts) but a lot of them certainly still capture the flavor of the genre. William Murray, Tom Meier and Brian Apple were the sculptors but see the 5 towards the bottom. 2 sorceress types. Tom Meier sculpts but very poor quality castings. I suspect Barbara Woerner sculpted these 5 but I could be wrong....these could be the Brian Apple sculpts as a completely different style to Tom Meier and William Murray. A trio of half completed ones .....following on from the earlier lead rot post, note the verdigris on the pennies.......a friends thinks that this will be linked to the storage in pine/plywood drawers and the use of PVA (white glue) in attaching them......a veritable time bomb. And joy of joy, my own copy of the game itself...insert smiley face here!